Roses are a powerful gesture of love and passion. The perfect Gift! Impress your significant other with our beautifully handmade Rose Bear. This bear will seal the bond between you and your loved one for years and years to come! 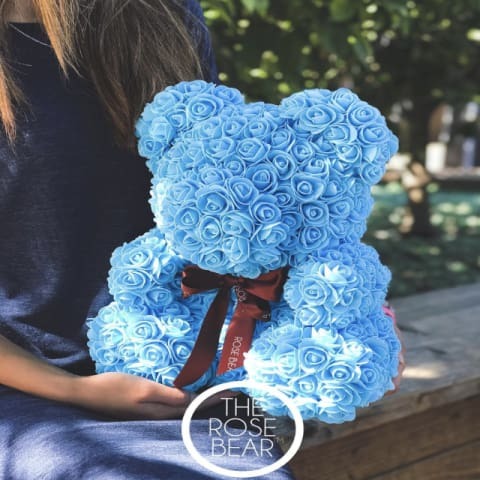 It's the perfect gift for your loved one, nothing says 'I Love You' like our Luxury Rose Bear. This is a listing for 1 piece of Rose Bear in a Gift Box. Bulk order discount available. This was a great gift for my love she really like it. The processing and shipping time was accurate. I will definitely recommend the website.